"This was the perfect getaway. We Visit Myrtle Beach every year the 1st weekend in June and normally we get a motel/hotel but this was the best deal EVER. This will be the way from now on." "The Condo was perfect especially for the cost. We had a great time!" "very nice place in great location"
"We did enjoy our stay but there were a few things I wasn't happy with. The pools were really cold(we were there in late June)and the hot tub was dirty and hard to get out of the hot tub. Not enough steps. Children ran around without parents." "We all had a great time. Management was very helpful. Condo has a beautiful view. Will definitely stay again! " "We love staying st Waterpointe II. GreaT location. Room was great. Love having an ocean view." "Third bedroom was ridiculously small: almost seemed like a converted storage space. Should be marketed as Sleeps 4 adults and up to 4 children. We made the best of it and didn't let it ruin our vacation. " "Carpet needs replacing very stained. Master bath tub caulking need to be replaced. Patio door need work, women could not open. Overall good place to stay." "Right on the beach. Rental fit our family of eight. Good supply of cookware/dishes for meals. Indoor pool was a nice backup to outdoor pool and beach." "My stay.....WOW! great weather, great condo "top floor" awesome views..clean..and the I believe the maintenance man, he was very helpful and extremely pleasant. I would return here in a heartbeat!!!!" "This was our first stay in Waterpointe II and we really liked this unit. We had 7 stay in this unit very comfortably. Unfortunately, I lost my dad 2 days into vacation so my husband and I had to leave. My mother in law and teenagers stayed another couple of days and they really enjoyed the indoor and outdoor pools and the view was spectacular. A slightly larger TV would be nice for the den area but other than that, I really can't come up with any major improvements. We didn't get to enjoy our full week, but for what time we were there, this unit worked really well. Thanks." "We had a great time. Was a little leary being on the 10th floor but we actually would like to come back next year." 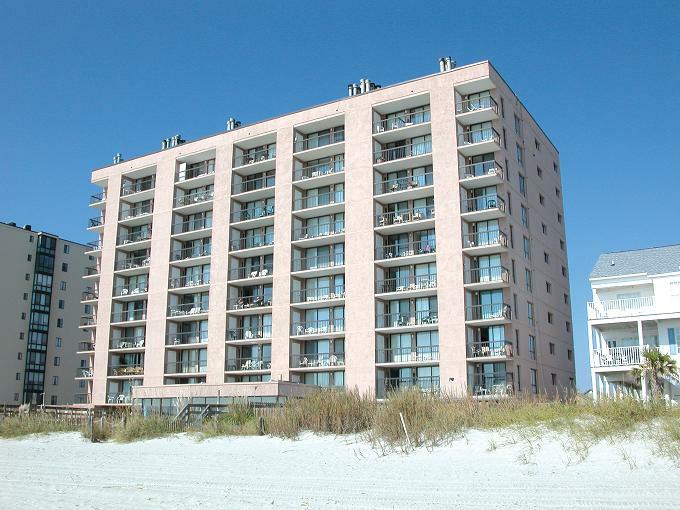 "I had a nice stay at North Myrtle Beach, Waterpointe II. Very relaxing environment. The Condo was clean. The view was amazing. The room was dated but it was clean and at a value I felt reasonable compared to other units. " "For the price and considering that you have a bird's eye view of the beach and ocean from this 10th floor condo unit, this rental was a great find! The unit's a little small, so I'd recommend it for groups of six or less. My biggest complaint is that two of the stove's four burners did not work." "nice location, indoor and outdoor pool nice, hot tub not very hot, room interior very basic but ok. Enjoyed stay"
"It was good and had everything I needed to feel like home." "Best Condo we ever stayed in, VERY clean! "Our stay was very good-new Coby tv set in Liv room is very cheap and will not brighten so we could watch it. Sofa in Liv room will need to be updated very soon by owner. Check-in personnel at Vacation Rentals very good as usual. Look foreward to next year at the same condo." "Other than having to wait for the condo until 5:00pm it was very nice. The air conditioner broke and the rental company had someone there within a couple hours to fix it. Very nice service. As much as we liked this condo we probably won't stay there anymore because of the late check in. We have always been in where ever we stay by 1:00 except one time and the carpets were being cleaned and it was 3:00 but 5:00pm is way to late." "Our 20th (plus) straight year in this condo. Nice improvements made to it this past year. Keep up the good work. Emma Floyd is exactly the right person to have in you Galleria Office.